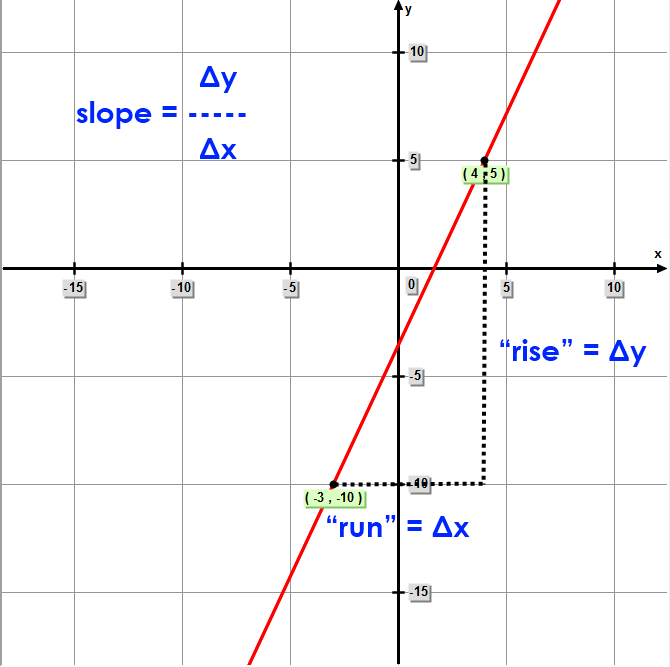 slope = "rise" over "run", or "rise" DIVIDED BY "run"
The x-y coordinates of the two points are (-3, -10) and (4, 5). They are listed properly as (-3, -10) and (4, 5) because the slope will be calculated as the change of "y" when x increases. In this case "x" will increase from -3 to 4 (left to right).